This was a quirky, funny, romantic, shocking play that was both engaging and thought provoking. 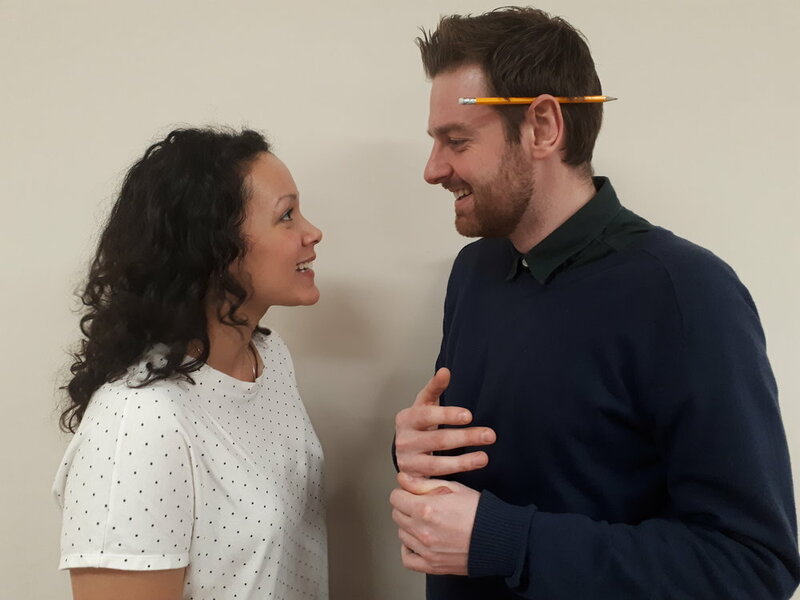 Featuring a talented duo of up-and-coming actors, written and directed by Andrea Montgomery, based on hours of off-the-record conversations with people across Northern Ireland about race and modern relationships. This was fresh modern theatre delivered with raw talent and simplicity. Melissa Dean and Stefan Dunbar rehearse the final scene of Me You Us Them. Me You Us Them used a series of monologues and dialogues that are as powerful, quirky and unexpected as anything Terra Nova’s track record of previous exciting work. The play is (just) free of strong language; suitable for young people aged 12 and up. The first tour of Me You Us Them has just closed. The project is currently is planning a second tour in 2019. Read a review here or watch the video for more information.